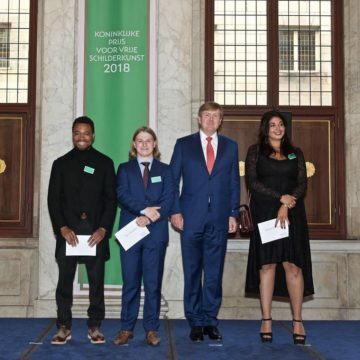 On October 5th HM the King presented the Royal Award for Modern Painting 2018. Out of twelve nominees, three winners were chosen. 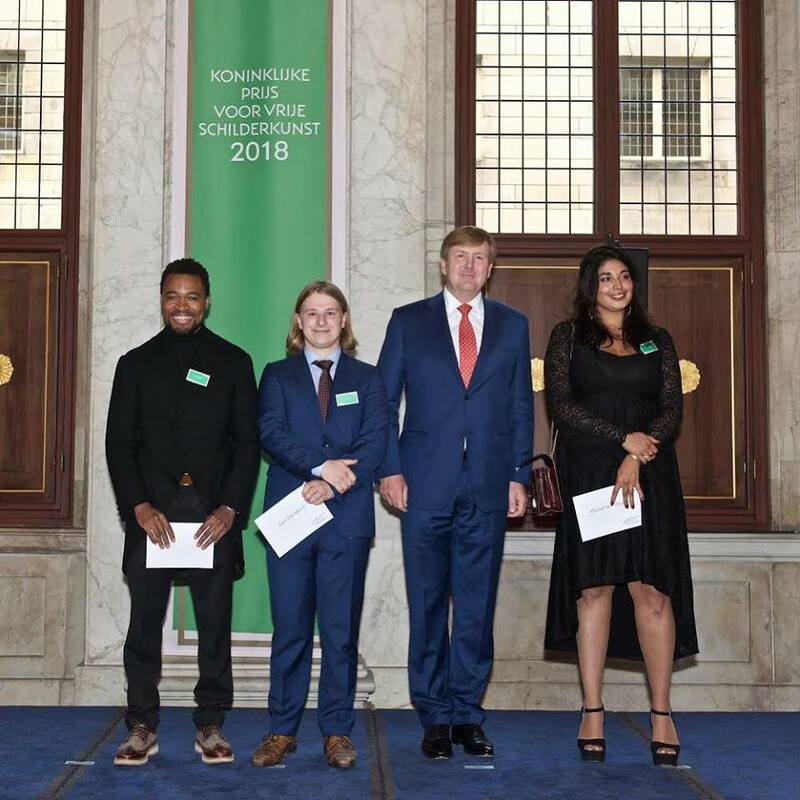 The winners of 2018 were Raquel van Haver and (former) participants of De Ateliers Sam Hersbach and Neo Matloga. They will receive 9.000,- euros. The exhibition with works of the nominees and winners will be on display at the Royal Palace until November 11th 2018.